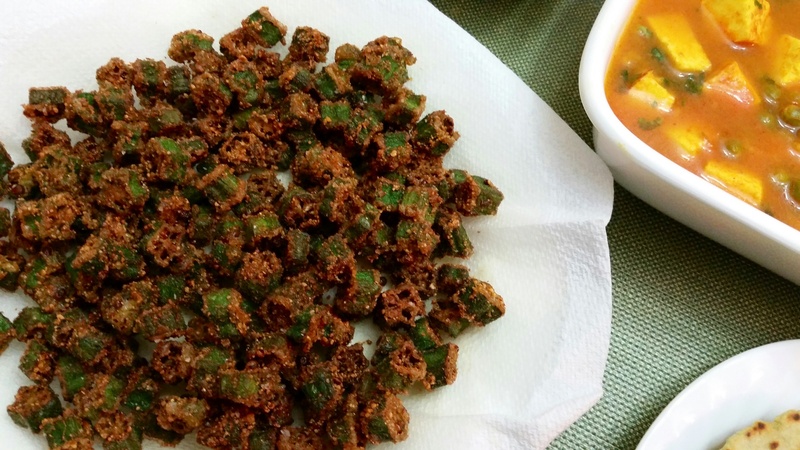 Wash Bhindi and pat dry, snip ends. 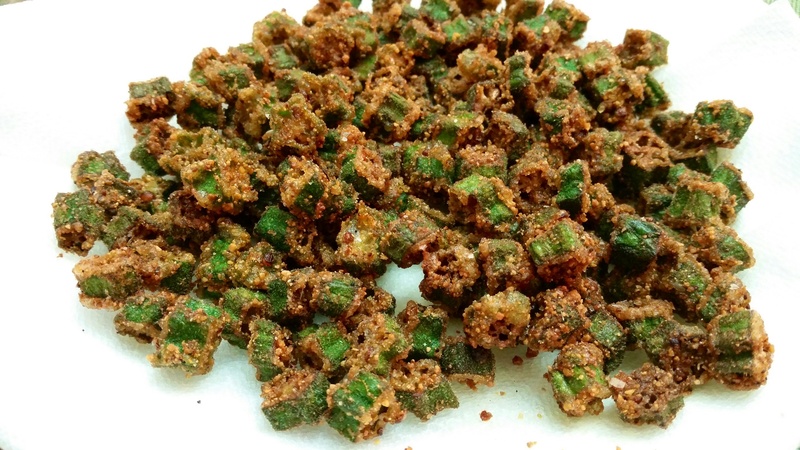 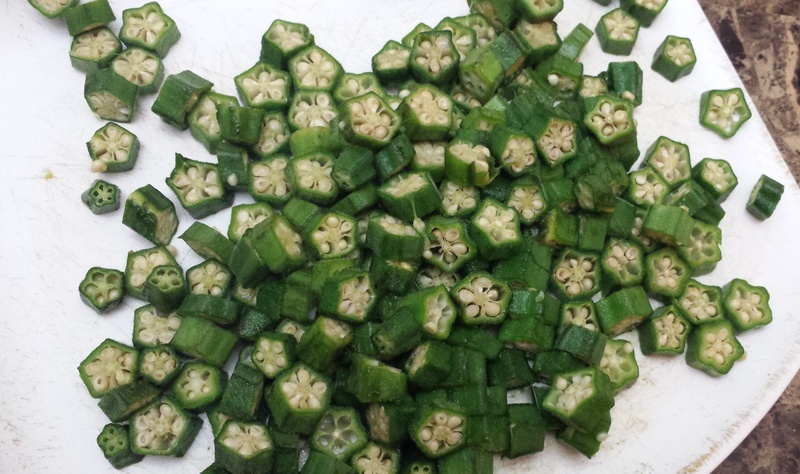 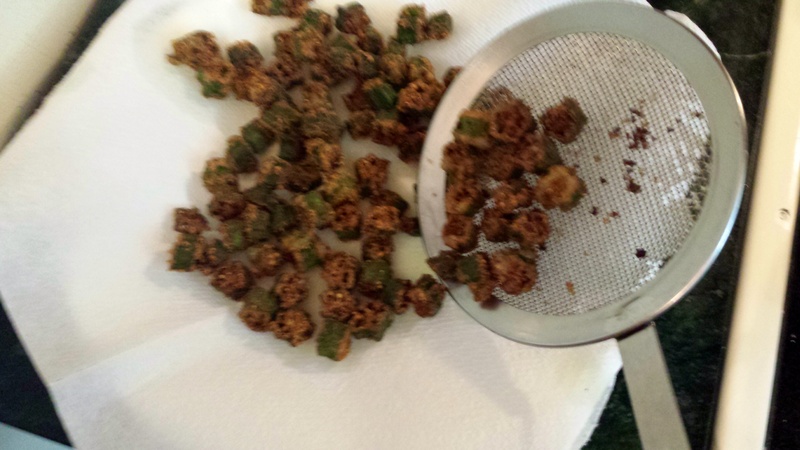 Slice bhindi into thin round pieces. 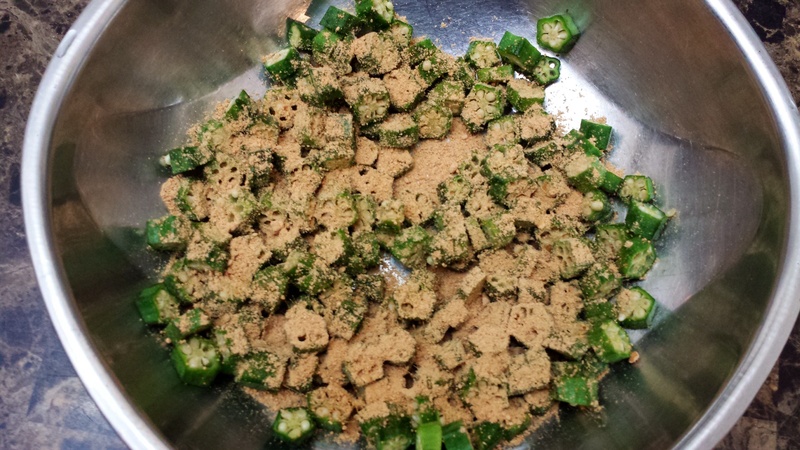 Sprinkle gunpowder liberally over the bhindi. 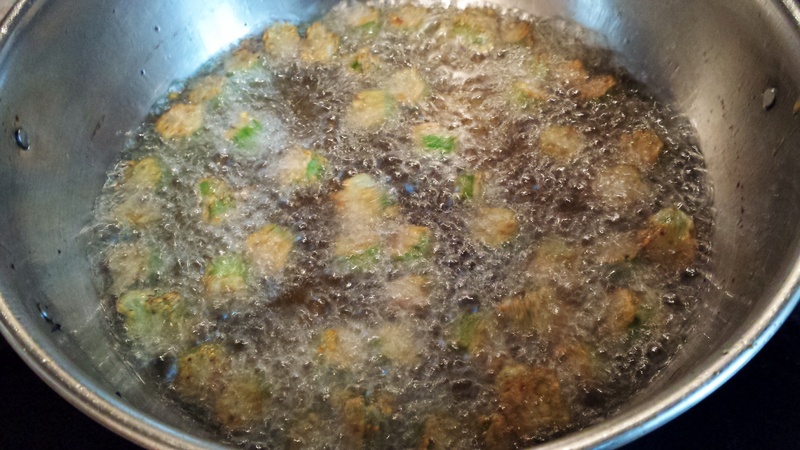 Check seasoning and sprinkle a little salt if needed. 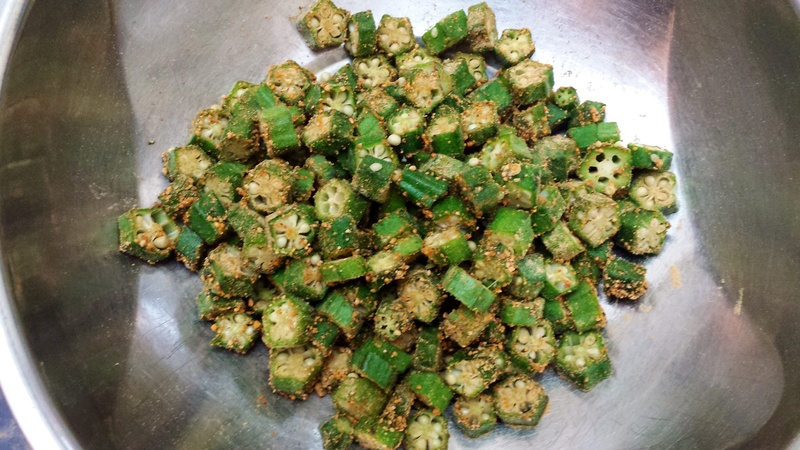 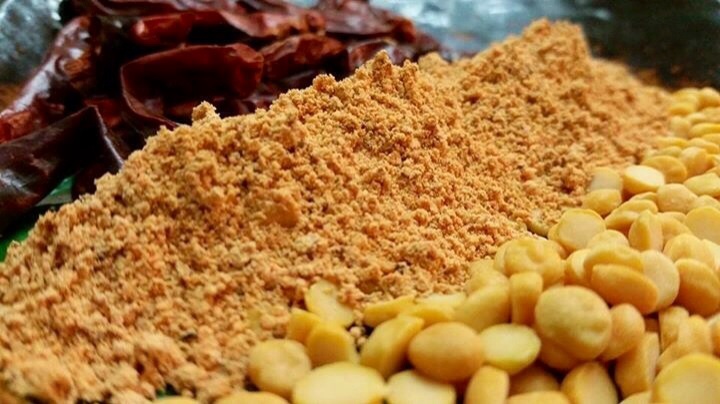 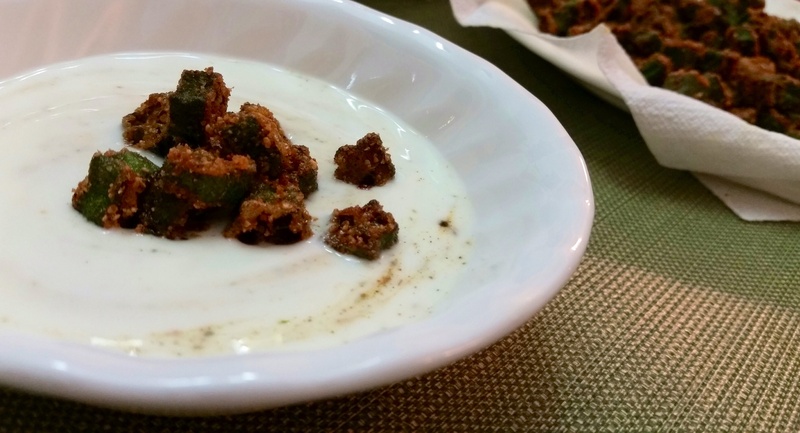 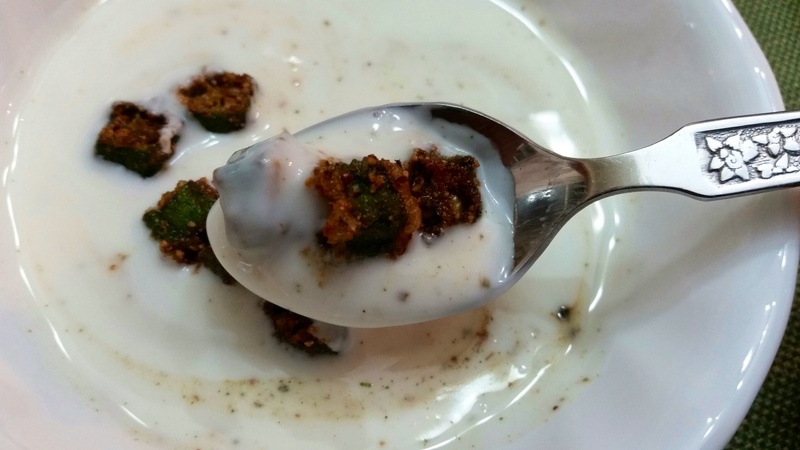 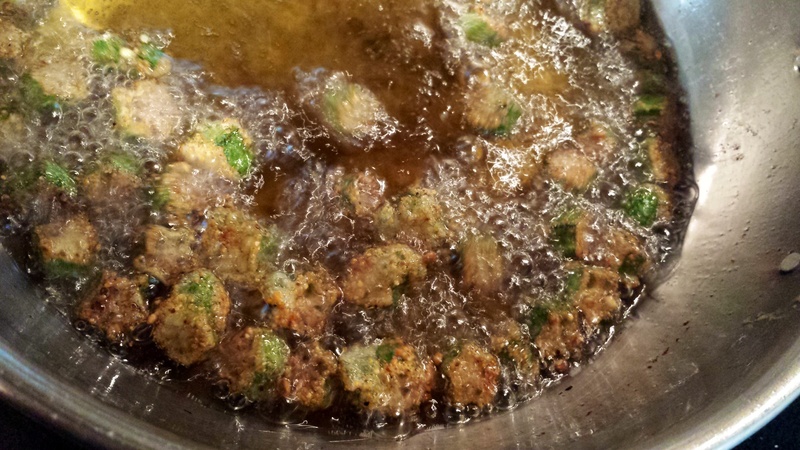 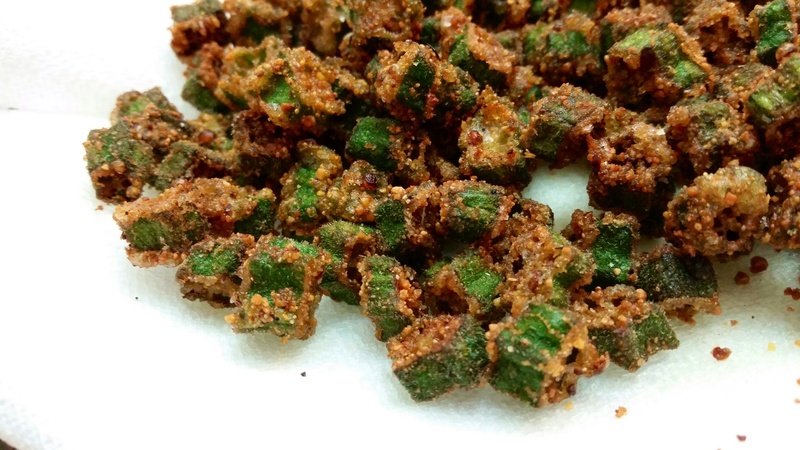 Sprinkle gunpowder and toss 2 more times…till the bhindi is covered with a nice thick layer. 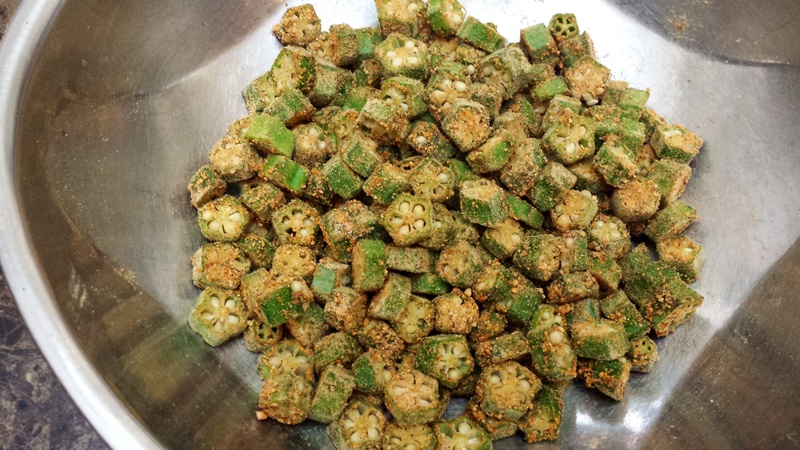 Deep fry bhindi in medium hot oil. 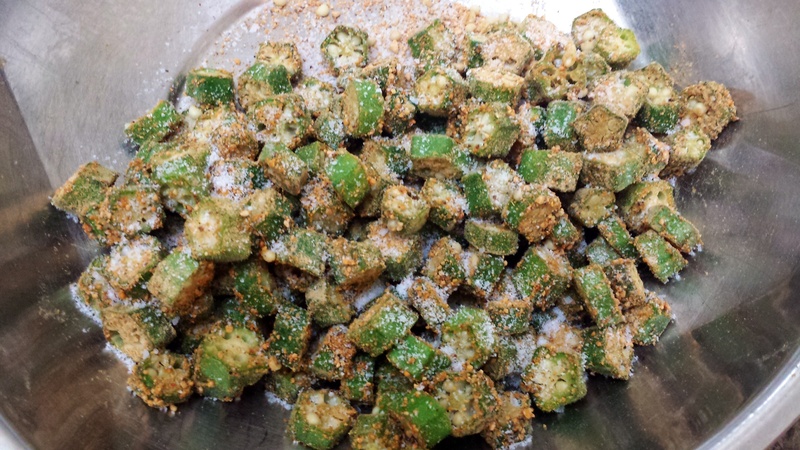 Fry till light golden, do not fry for too long, as the bhindi continues to cook in the residual heat even after taking out.